If the printer is online, the upgrade will be applied automatically when the new hardware is installed. If the printer is offline, the upgrade file will need to be downloaded and run manually. In this case, once the upgrade file is run, the printer will wait until the new hardware is installed to finish the kit upgrade. Sign into the Eiger org that the printer is a part of. Click on "Settings" from the menu in the upper right corner of your screen. Select the "Printers" heading on the left side of your screen and then select the printer you want to upgrade. Click on the "..." button near the top of the screen. Select "Download Kit Upgrade" from the drop down menu to download the .MFP file. Transer the file to a USB drive and insert the USB drive into your printer. Select Menu → "USB/On Board Storage" → "Print From Storage" on the printer's touch screen. Select the kit upgrade file to run the upgrade. Push in the black Push-To-Connect fitting to release the plastic Onyx filament feed tube. Pull the plastic tube from the Push-To-Connect fitting to expose the Onyx filament / material. Using a pair of cutters, cut the Onyx material at a 45 degree angle. Using the LCD touch screen, select the menu in the upper right corner and select "Load / Unload Material". Select "Unload Onyx" from the options on the screen. The Plastic nozzle will heat up. Once the heat up is complete, press "Next" to continue. The printer will now purge the unused Onyx filament from the system, by pushing it back out of the onyx extruder. Take hold of the cut onyx material and help direct it free from the onyx extruder. When it stops coming out, press “Stop” on the printer touch screen. Note: The extruder may click loudly when the Onyx is extracted all the way. This is normal. Once plastic is completely unloaded from the printer, turn the printer off. 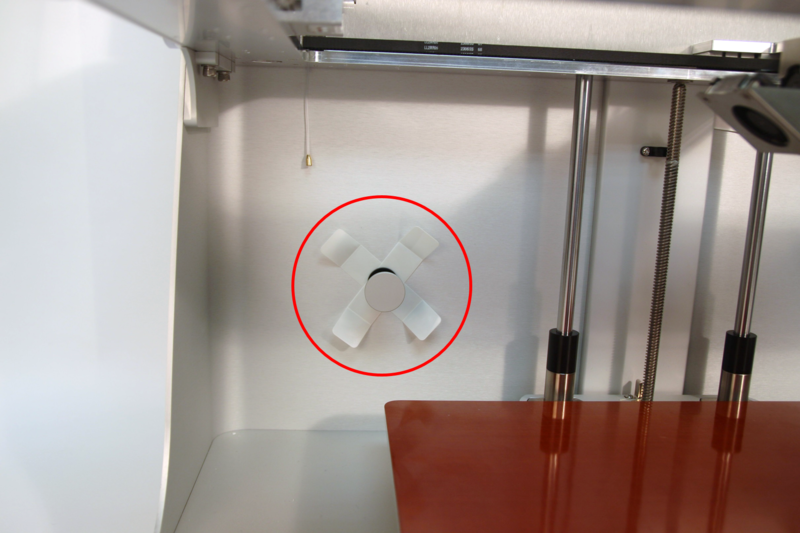 Remove the thumbscrew connecting the Onyx Bowden Tube to the print head and allow the tube to hang freely. 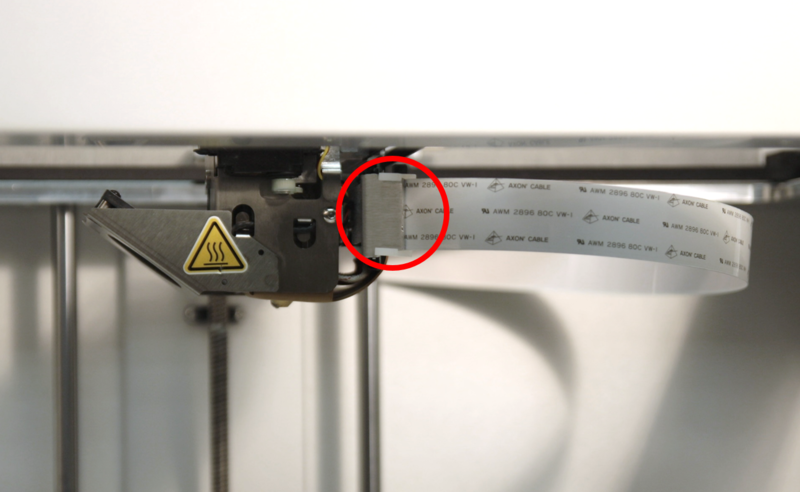 Gently squeeze the tabs at the top and bottom of the Axon Cable Connector and to release it from the print head and allow the cable to hang freely. Use a 2.5mm allen wrench to loosen and remove the two bolts that connect the print head to the print head carriage. 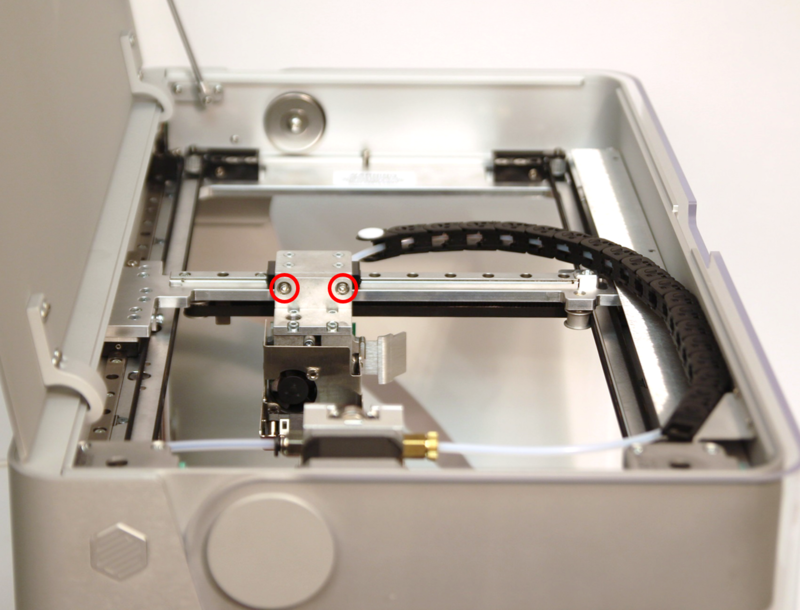 Carefully pull the print head off the print head carriage and place the new print head onto the print head carriage. 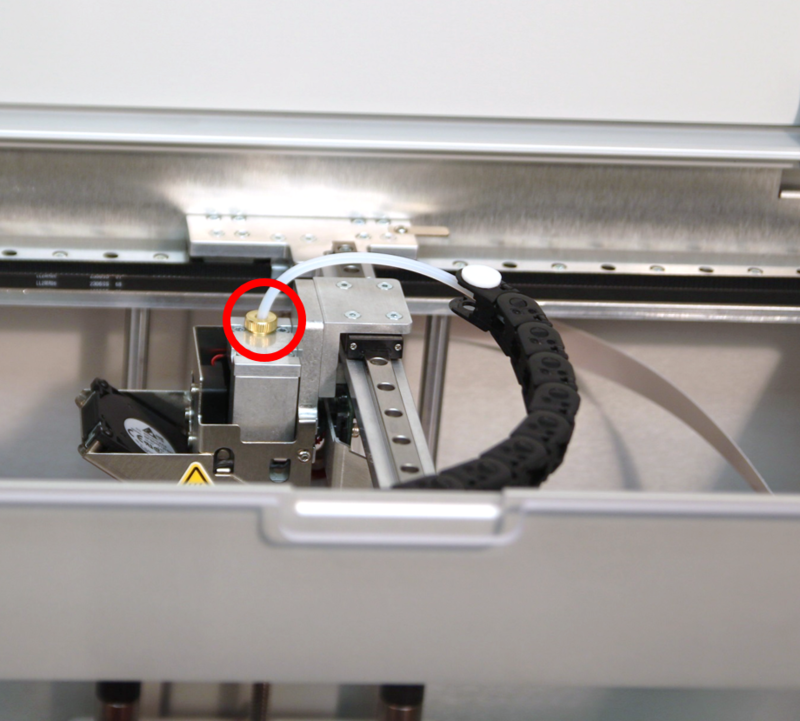 Be careful to align the pins on the print head carriage with the holes on the print head so that the pins are not damaged. 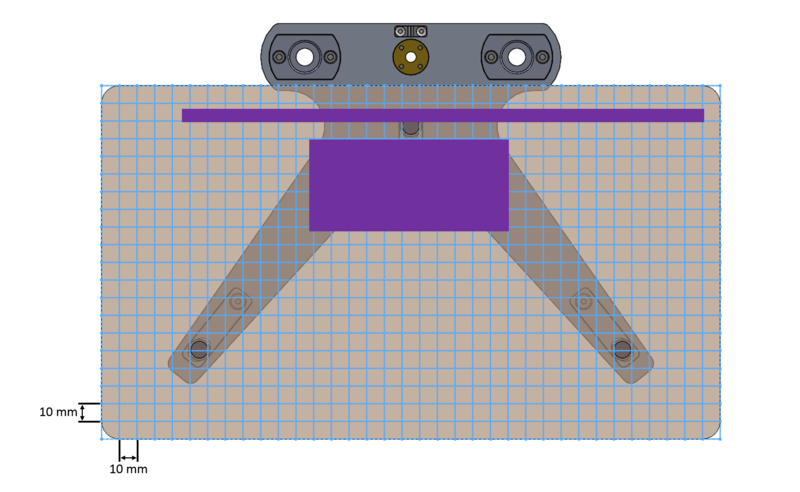 Use a 2.5mm allen wrench to tighten the two bolts that connect the print head to the print head carriage. Reconnect the Axon Cable and Axon Cable Clip. Note: Be careful not to break the cable, clip, or board but also be sure that the cable is secure. Plug in the 3-wire and 4-wire connectors. Loosen the thumb screw that attached the Onyx Bowden Tube to the Onyx Extruder and move it out of the way. 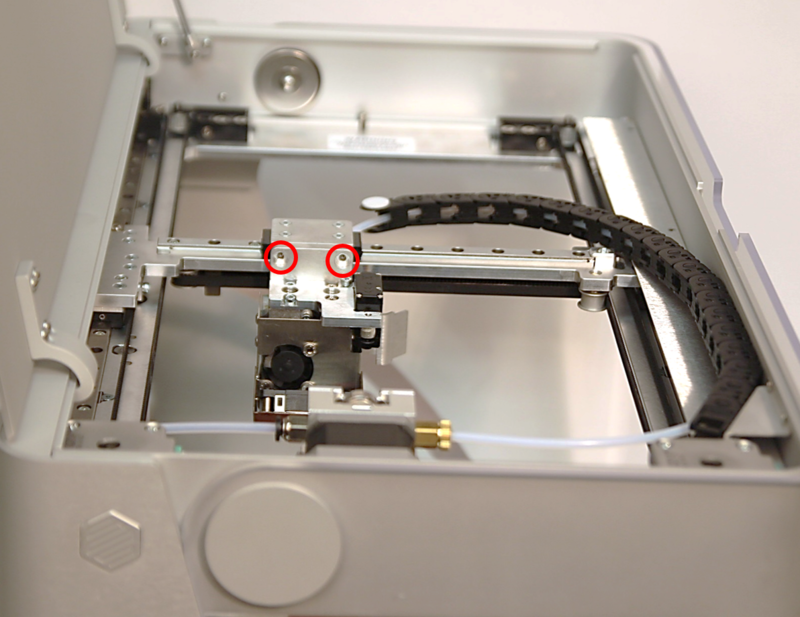 Use the provided screws to attach the extruder bracket to the printer chassis. 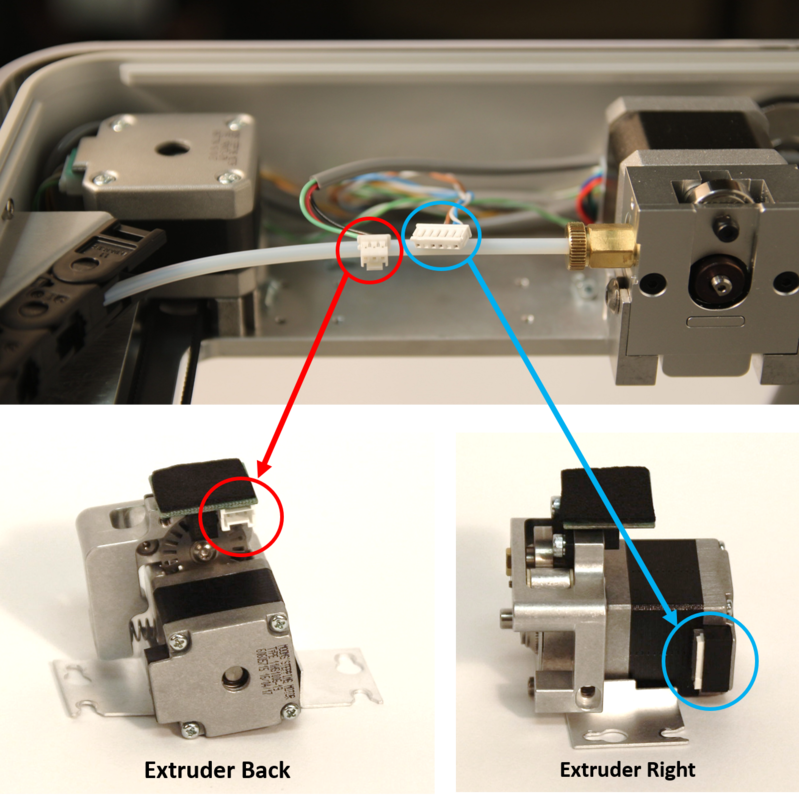 Use a 2mm allen wrench to loosen the two set screws on the top of the front bracket on the fiber extruder. Feed the brass inlet on the Fiber Bowden Tueb into the V-shaped groove on the extruder and tighten the top left set screw until there is some tension. Feed the end of the Fiber Inlet Bowden Tube with the brass cone-shaped inlet through the hole in the printer chassis toward the fiber spool holder. Feed the other end of the Fiber Inlet Bowden Tube through the channel at the bottom of the Plastic Extruder and into the V-shaped groove on the fiber extruder. Tighten the top right set screw until there is some tension. Loosen the spool holder bolt, on the read of the printer, by approximately one full turn. Note: You will need to hold the spool holder while doing this. The spool holder does not need to be fully removed to install the tensioners. Slide the first spool tensioner behind the spool holder so that the notch in the tensioner sits on the axle of the spool holder. 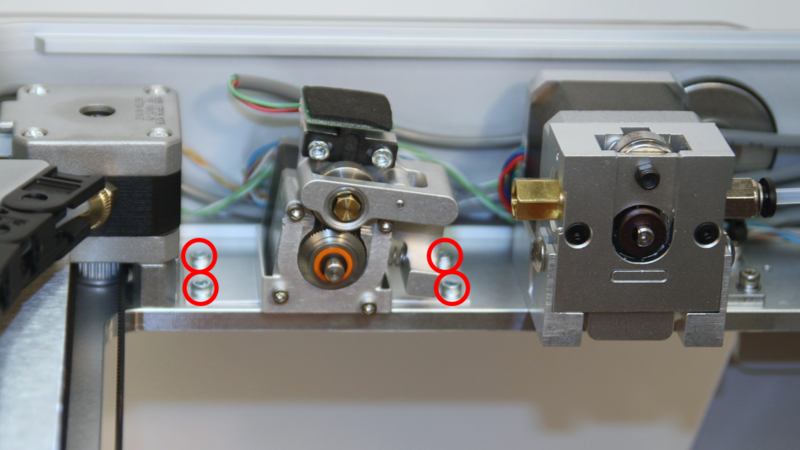 Make sure the middle section of the tensioner sits flush with the back wall of the printer and the end pieces are bent away from the back wall of the printer. Slide the second spool tensioner behind the spool holder in the same way as the previous one. Orient the spool tensioners so they are perpendicular to each other and form an "X" shape. Carefully retighten the screw in the back of the printer. Note: Be careful that the spool tensioners do not move while you tighten the screw or you will have to loosen the screw and adjust them again. 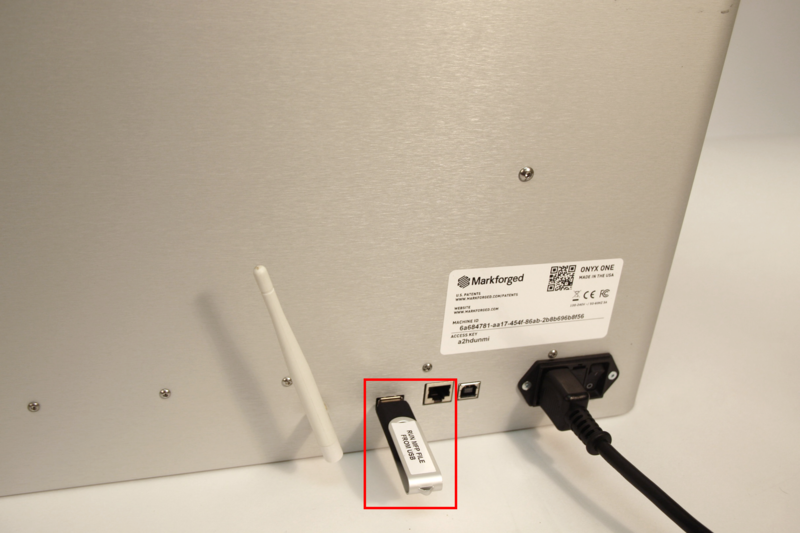 Insert the USB drive that came with the print head into the back of your printer. Use wire cutters or a similar tool to cut the end of the Plastic filament at a 45 degree angle. Run the "Load Plastic" routine by selecting Menu → "Load/Unload Materials" → "Load Plastic" on your printer's touch screen. 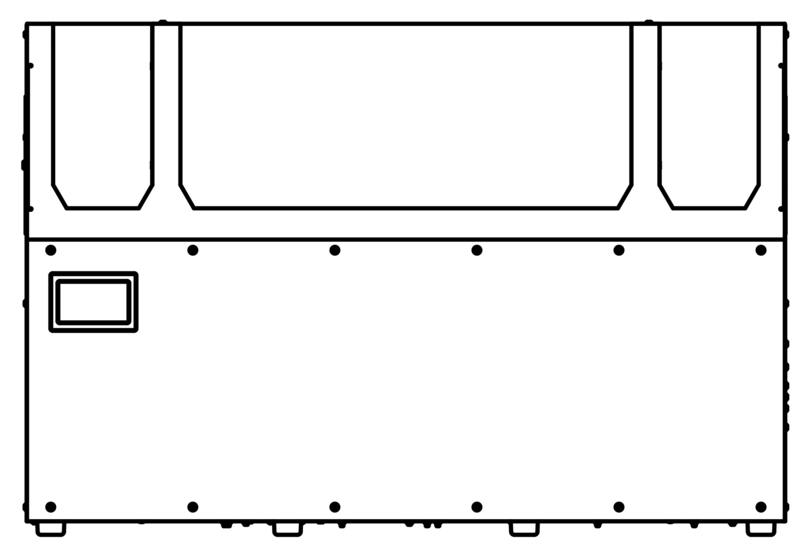 Follow the on-screen instructions to load Plastic before moving on to the next section. Use tweezers to remove the extruded plastic material from the nozzle. Hold the end of the fiber to keep it from unspooling and remove the tape from it. Carefully unwind two and a half feet of material from the spool and then re-apply the tape to keep the rest of the material from unspooling. Use wire cutters or a similar tool to cut the end of the Fiber filament at a 45 degree angle. Feed the cut end of the material through the fiber feed tube until it reaches the Fiber Extruder. 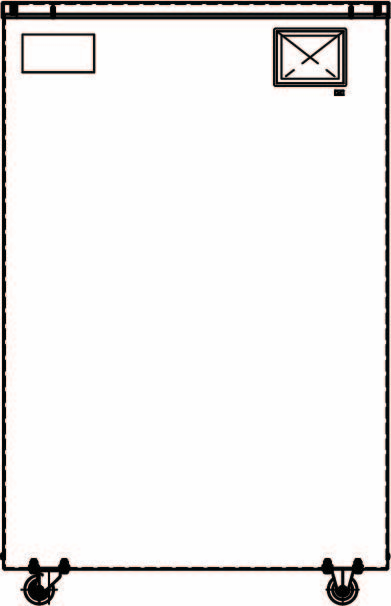 Run the "Load Fiber" routine by selecting Menu → "Load/Unload Materials" → "Load Fiber" on your printer's touch screen. Follow the on screen instructions to load fiber. As the fiber is loading, follow steps 9 and 10, below, to place your fiber spool on the spindle without letting it unravel. As the fiber feeds through the Fiber Extruder, put the fiber spool on the spindle and place the magnetic cap on the spindle to keep the spool in place. When the fiber is under tension on the spool, remove the tape from the spool and set it aside for later use. We recommend taping it to the side of the spool. 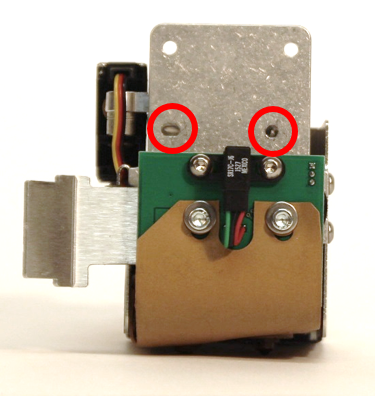 At the end of the Load Fiber routine, remove the cut piece of fiber from the print head or the base of your printer. Run the Shim Bed Level routine as you normally would. When prompted, use the 2.5mm Allen wrench to adjust the screw on top of the print head assembly to change the height of the fiber nozzle until you can feel slight resistance while sliding the shim. Note: As little as 1/16th of a turn will raise or lower the fiber nozzle. Turning the screw clockwise will lower the nozzle while turning the screw counter clockwise will raise the nozzle. Use caution during this step to avoid moving the nozzle too far. Apply glue to the center of the print bed. When the staircase part finishes, select "Adjust" on your printer's touch screen. 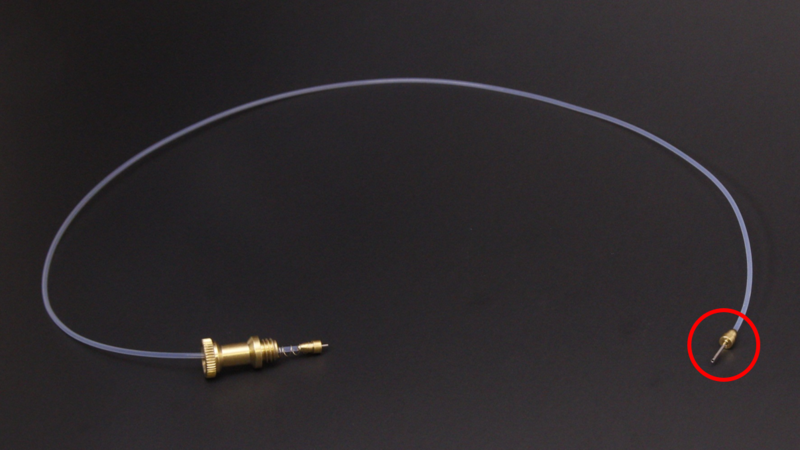 Ensure the fiber nozzle is clear of any debris and press "Next" to swipe the nozzle across the part. 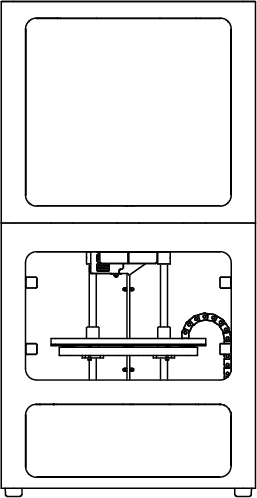 Examine the print without removing it from the print bed, and identify the line created by the fiber nozzle dragging over the part. 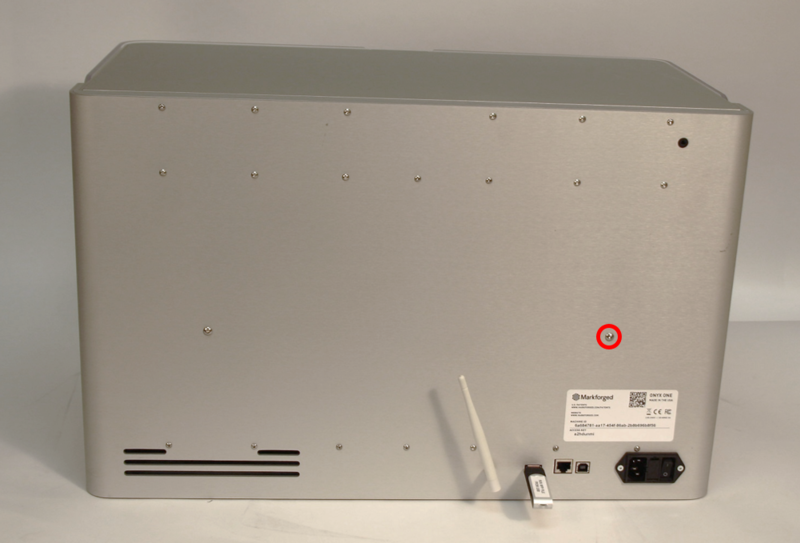 Identify the lowest numbered box that the fiber nozzle line appears in. Use the 2.5mm Allen wrench to adjust the fiber nozzle height on the print head. Verify that the printer is an Onyx Pro by going to Menu → "Settings" → "Printer Info" → Trophy Icon on your printer's touch screen. Place the Onyx One in the packaging from the upgrade and ship it back to Markforged with the provided shipping label. Note: If you did not receive a shipping label with your upgrade kit, please contact Support. See our online Support Documentation for information about loading fiber, leveling the fiber nozzle, and other important information.